Siwon. 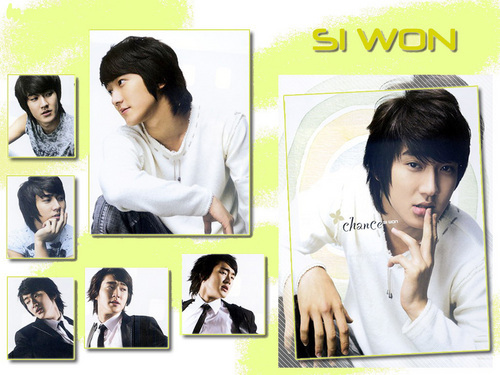 Gentle Siwon.... HD Wallpaper and background images in the Super Junior club tagged: suju super junior siwon. So handsome,good looking and so cool..
ahhh oppa si won i love u! oppa siwon love you . HEY,siwon u are very cute because of your height. I love suju very much! yoboseo? siwon.... want to meet you//////.>>>>>>>>­>­;i love you!!!!!!!!saranghae!!!!!!!!!! ...your the cutest and hottest guy in suju Siwon goodluck!!!Fighting!!! Happy Birthday Siwon! GodBless & More Power! Saranghaeyo 4ever SuJu! Ang gwapo mo talaga Siwon !!! I wish you success, good health, and the happiness you deserve. Continue to being kindhearted, humble, and hardworking. Be a good example to the young boys. God Bless You !!! CHOI SI WON OPPA!!!!!! !사랑해 <3!!! U R THE TALLEST, COOLEST, CUTEST IN SUJU...사랑해 <3!!!!! AND U REALLY HAVE AWESOME VOICE, ABBS, AND BODY..
annyeong haseyo oppa siwon ..
i love you siwon opa..! siwon oppa! is very funny, talented and religious that is why i love him so much.. we are just the same skills..he really has a faith on god.. love him so much.. SARANGHAE! WO AI NI..
Hi ! try to be the best.